Hey everyone! I’m so excited to launch a brand-new feature that I’ve thought about since I started the blog nearly a year ago. About once a month, I will feature an interview with someone I consider a true “New Orleanian.” In the interviews we’ll discuss their connection to the city, their opinions about local issues and how they think about city identity. I recognize that the people I select for the interviews will be in a similar demographic, because it is based on people I know. However, that’ll change as the blog grows and I expand my network in the city. Eventually, I’d like to interview people I consider ~ians of other cities. I welcome all feedback and suggestions (unless they are critical, in which case I will spam you) (jokes). Rachael Kansas is the first person I ever met from New Orleans. We both had a fellowship with Hillel, a Jewish organization that is located at different college campuses across the country. I was placed at Tulane and she was at George Washington University in D.C. We met just after I moved here in 2004, at a conference for all the Fellows. She instantly embraced me and even hand-wrote a list of recommendations for all things New Orleans—not just restaurants and bars, but places to get my hair cut and go to the doctor. Although she grew up here and has a large network of friends and family, Rachael always invited me out when she came home to visit. She’s a true New Orleanian—both in that she was born and raised here, and that she embodies the warmth, hospitality and charm of the city. To this day, Rachael is my first call for anything related to New Orleans. She was the first person I thought of when I had the idea for this interview series. Rachael grew up in New Orleans Parish and went to Ben Franklin High School. 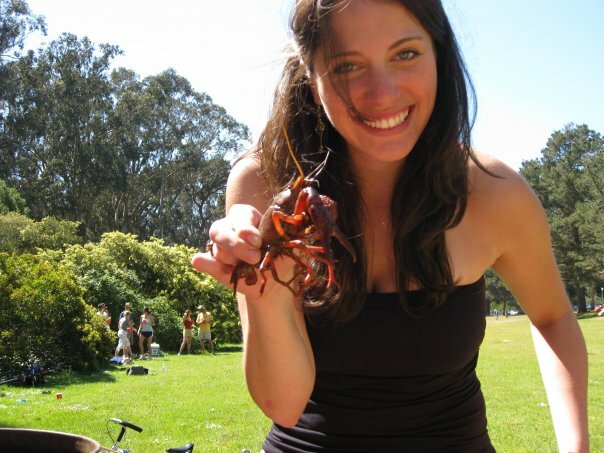 After graduating from the University of Texas in Austin, she lived in Washington D.C. and San Francisco. In 2010, she returned to New Orleans to earn her MBA at Tulane. She now works as a realtor with RE/MAX and was recently awarded RE/MAX’s 2011 “Rookie of the Year” award for the state of Louisiana. How long has your family has been in New Orleans? My mom’s family came before the Civil War. And my dad’s family came around 1910ish, I think. I don’t know. Both my mom and my dad’s side of the family came from Odessa, which is now Ukraine, and came straight to New Orleans—no stopping elsewhere. Except for my grandmother; I think her parents came from Czechoslovakia. I’m not entirely sure but we’ve been in New Orleans a long time. After graduating from college you moved to D.C. Did you always know that you’d come back? A lot of kids that grew up in New Orleans that were older than me had left New Orleans. That was the thing: you grow up and you move away. But I was always very close to my family and was always coming home. Even during college, I came home for Mardi Gras and Jazzfest every year. So, yeah, there’s probably something in me that knew that I’d end up here someday. It was extremely heightened after Katrina. It was like, “Ohmigod, I can’t believe I’m so far removed from everything my family’s going through.” I also felt a little bit of guilt, but more just sadness for what was going on. At that point I decided I’d move back to New Orleans. The only thing is that I knew all along when I moved to New Orleans it would be my last stop. So, I kind of delayed the move back to here because I knew once I got back I would buy a house and I would stay and that would be the end of it. You’ve lived in DC and San Francisco and in Israel and Texas. Would you say people in New Orleans are different? New Orleans has this uniqueness about it because we’re not just Southern, we’re not just that stereotype of Southern hospitality. We have our own thing going on. We’re just big party animals and relax and enjoy life to its fullest. There was some study done awhile ago that asked which state was the happiest in the nation. I remember talking about it with my brother. I was saying that people here are probably happier because we have so much to celebrate–we have festivals every weekend! There isn’t that competitive rat race. When you go downtown at 6:30, it’s basically dead, versus New York where people are in their office until 12 at night. My brother added that he thinks we’re the happiest because we are so family oriented. And so a lot of people that live here are with multiple generations of their family. We spend so much time together and that also makes our community stronger and happier. There isn’t that stress of having to be away from everybody. There’s people there to help you out and support you. I agree with that, too. My whole family’s here. 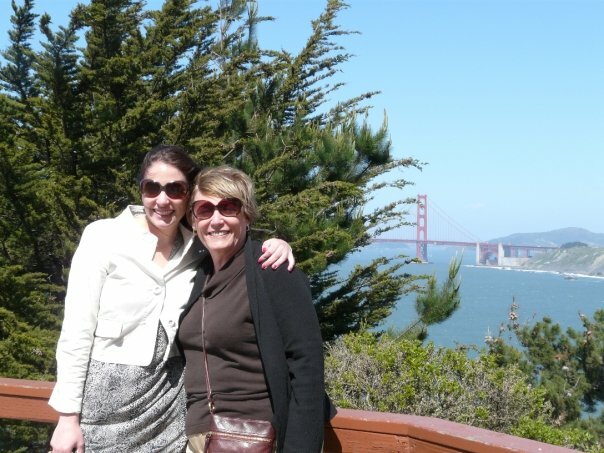 Rachael in San Francisco, with her mom, Lee Kansas. You’ve seen a lot of people move here for business school, not like it and move away. Oh really? I thought a lot of your business-school friends moved away. They came here for business school and left, but it wasn’t because they didn’t like it here. They liked it here, it’s just that New Orleans didn’t have MBA jobs for them. There’s a lot of people in my class that if they had been offered the type of salaries and the type of jobs that they wanted in New Orleans they for sure would’ve chosen New Orleans over the other places that they went. There were a number of people that wanted to be on Wall Street or wanted to be in a specific city, so they’re an exception. There’s actually a lot of people from my class that stayed and tried to make New Orleans work. There are a couple of people that have taken not-so-great jobs just to stay in New Orleans. Or didn’t have a job and stuck it out in New Orleans, but didn’t get a job and had to go somewhere else. I don’t know anyone who moved here and, per se, didn’t like it at all and had to move away. What can you get from living in the other cities you’ve lived in that you can’t get here? The Jewish community thing is a blessing and a curse because it feels like a small town. DC and in San Francisco are both very transient cities and no one is very invested in you. No one really tries to make an effort to keep you there, make you feel welcome and invite you and include you in things. But at the same time, there’s so many other young people that are Jewish and social and out. And so here we have less numbers, so if you want to get involved it’s a lot easier to get involved. People really reach out more and include you more than in the other cities–where they just kind of expect you to leave quickly. Here, the community gets excited for anyone that’s new. They want you to be at every event and invite you to every event. Maybe I just feel that way because I just know a lot of people from growing up. I agree. I’m also a little bit biased because I worked in the Jewish community before so I’ve reconnected with it since moving back. But I think when people here hear about a young, new Jewish person in town, they get excited. In other cities that doesn’t happen. People are like, “Oh, you’re just here for two years and you’re out.” So, I think New Orleans is really different in that sense. But that might be just a small-town Jewish community versus a big Jewish community difference. You know, that’s probably going to happen in a lot of other small towns too. I didn’t realize that San Francisco was so transient. It’s not as transient as D.C., but it is pretty transient. A lot of people do the “San Francisco thing” for a couple of years and then leave. When I moved there, we had a strong group of girlfriends that were all there and now only two of them are left from our big group. We all were there for about one to three years. I think the emphasis on food and music is very similar with San Francisco. The liberal (well, for the most-part liberal) mentality in New Orleans and also the festivals and the emphasis on the people that actually live in the city is also similar. I think in DC there’s a lot of focus on the tourism. A lot of events are held at the national mall. The Cherry Blossom parade… things like that aren’t for locals. There isn’t an investment in the local community. It’s more about pride for the nation. New Orleans is like “we’re only proud of ourselves.” We do things to enjoy ourselves, to please ourselves. I think San Francisco is a little bit like that too. How does New Orleans seem different to you after Katrina? I think one of the bigger things is that New Orleans, pre-Katrina, was like a small, very tight social network. If you weren’t from here it was really hard to break in. Everyone cared about where you grew up, where you went to high school. Now there are so many more people that didn’t grow up here and are in our local community and that are making New Orleans their home. How can you hate on them, how can you not include them? They chose your city, they love your city just as much as you do and they add so much more to it and change people’s outlook on things and bring new perspectives on things. I think that’s a major difference between the old-school New Orleans kind of cliquey-ness and the new New Orleans. Although, it’s not perfect. I know people who have come here and have first had a hard time because they’re not part of this circle of people who all know each other. I think people are also more civically engaged and more involved. I have so many friends that are politically involved and running for local elections to be on some council, or trying to do this new company or this new idea. I mean, people are more engaged and more involved because we saw that we almost lost our city so we don’t want to just go back to the old ways. We have this once-in-a-lifetime opportunity to make it even better, so people are investing and more motivated, I think. My mom was saying that when my older cousins were growing up–my cousins in their 40s–the norm was that kids from New Orleans would get educated elsewhere and they’d live elsewhere, because New Orleans wasn’t enough for them. They’d move to different cities, like Houston and Atlanta and New York and Philadelphia and wherever they could find a smarter, more modern community. But nowadays, it seems more kids are going away to college and moving back. But that also might be my mom talking about Jewish community, specifically, so I don’t know. I’ve split the interview into two parts. Tomorrow, read Rachael’s thoughts about her high school, the Saints and what surprises her about New Orleans. I would love to do it more than once a month, but it took a lot of time, so we’ll see! And, as always, we are on the same page: Next month I’m hoping to feature someone who is moving from New Orleans. I’ve still got to ask her if she wants to do it! I can’ t stop admiring your writing skills and your creative thought process. What a wonderful idea to interview “the locals (backbones) of you City. Rachel sounds very special, not to mention beautiful! Hey, are you taking suggestions? If so, I nominate Brad Pitt for next month. Even though he is not a true “Neworleanian”‘ perhaps you can make an exception, since he has done so much for “your city”. Very cool. Just moved back (home) from DC myself after 2 years or so on Capitol Hill. Stumbled upon your blog. Tons of thoughts and stories.